A beautiful hat inspired by the red rocks of Sedona Arizona!! You will need about 1/2 skein each of 2 colors of a DK weight yarn (preferably 1 ply such as Gecko Yarns Stunning base). Knit in the round in garter stitch. Gauge is about 18 sts and 40 rows for 4 inches using garter stitch in the round. This listing is for a digital copy of the pattern only, not a finished product nor any supplies such as yarn. The copyrighted pattern is for your personal use only and must not be shared or copied without explicit consent. Permission is granted for the purchaser of this pattern to make and sell the finished objects provided that the name of the pattern and copyright is clearly displayed to purchasers of finished objects at the time of sale. (E.g. 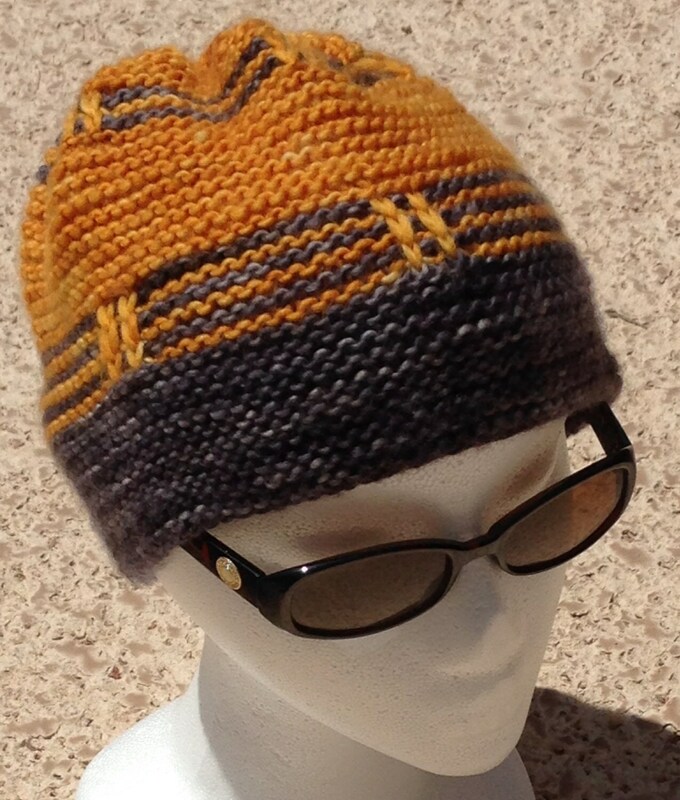 ; the Sedona Hat by Gecko Yarns, copyright). If you should note any errata in the pattern, or have a suggestion for an improvement, please let me know! Thank you! Completely love these new colors. It’s beautiful. Now I just need something to pair it with. I love Koi Pond! Not sure what project I will use this for.